"Though a friend can certainly be a labor support person, mothers typically have the best results when they hire a professional labor assistant (…also called a ‘labor support doula’…) who in addition to providing comfort and companionship to the laboring mother, has special obstetrical training…Her knowledge of and experience with birthing, and her sole focus on the mother’s needs, make her a unique, and to our minds, an indispensable part of the hospital birth." “I chose to employ a [doula] because, after doing my homework I realized there was a missing person in the current maternity system…After talking to other mothers about their deliveries, I realized that many first-time mothers are left alone a lot during delivery and don’t really know how to interpret what’s going on in their bodies. My [doula] was the missing link that I needed to keep me centered on my body and to make it work more efficiently, and I think she saved me a lot of pain-literally. Want to hear why I'm a great doula in particular? 🙂 Read some reviews from a few of my clients here. Ready to sign up for wonderful pregnancy & labor support? You can contact me through our doula collective - Great Expectations Birth. I look forward to hearing from you! 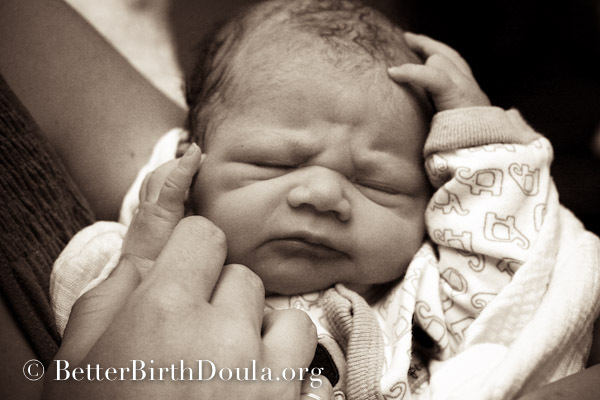 One Response to Why hire a doula?